It comes as no surprise that the Lego group will be collaborating with Ikea in the near future. Over the last few years we have been using Ikea products to display our Lego minifigures. Lego and Ikea, two Scandinavian companies, are certainly a popular match for enthusiasts who want to display their LEGO collections! It’s all well and good having little Lego minifigures, but how should you display them? They tend to collect dust very easily if left in the open. 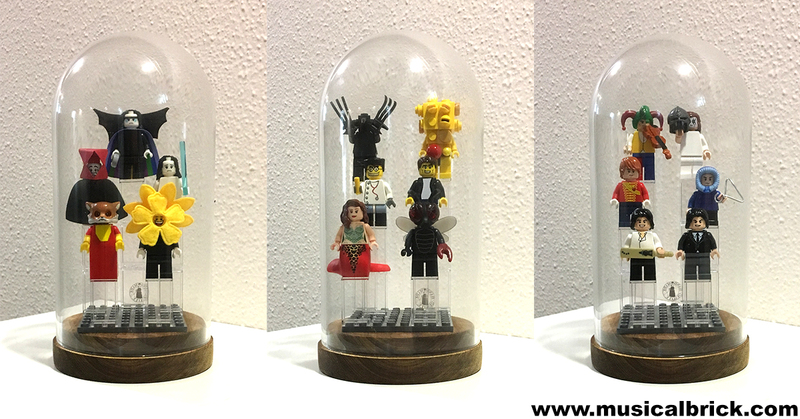 The glass dome with base can be used to display your favourite minifigure collections. Here we can display the minifigures in any configuration. This shadowbox frame comes with a depth of 8cm and it has magnetic door mechanism for the front cover.